Whenever we strategize a website redesign, taking a proactive approach is always a surefire way of guaranteeing ideal digital solutions. By understanding your website’s strengths, weaknesses, and potential from the get-go, it becomes easier for our strategists to devise solutions that will work for you and your brand throughout the years. 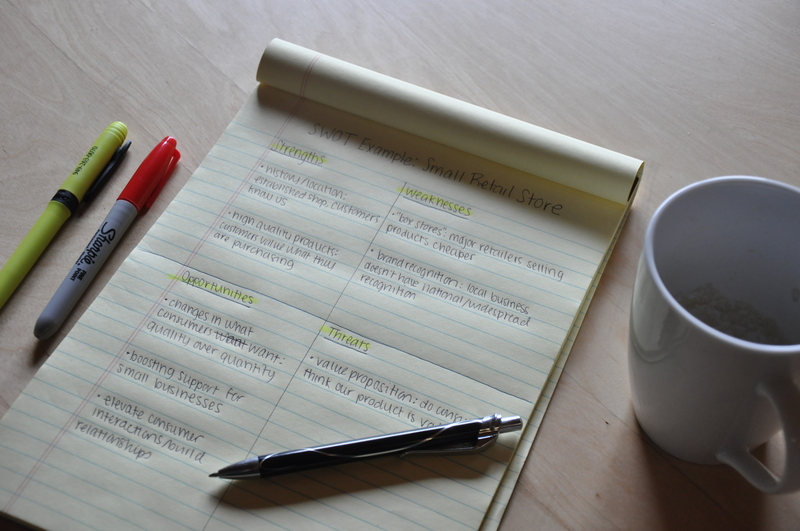 This brings us to a critical component of our strategy phase: the SWOT analysis. Working together with you, we analyze and determine customized answers specifically for your unique brand and vertical. “SWOT” stands for Strengths, Weaknesses, Opportunities, and Threats. In the website world, we use SWOT analyses to survey the current landscape of a client’s website to understand and determine what is working, what is not, and where there is potential growth. Each section plays an extremely important role in creating ideal digital solutions. You can’t, for example, better your client’s site by examining their strengths but not considering their weaknesses. Every little aspect is essential for great solutions. Imagine you are in a job interview. The interviewer asks what your strengths are and you reply that you are a hard worker and have an excellent work ethic. Well, great—but I bet everyone else who is interviewing also said the same thing. Analyzing your website’s strengths is your first opportunity to really determine what your website does exceptionally and what gives you an edge over competitors. The more honest you are in this section, the better a subsequent website solution will be. When it comes to your site’s weaknesses, focus on narrowing down specific pain points that are preventing you from being up to snuff with your competitors. Asking yourself what factors keep you from being competitive and assessing what needs the most improvement are excellent places to start. 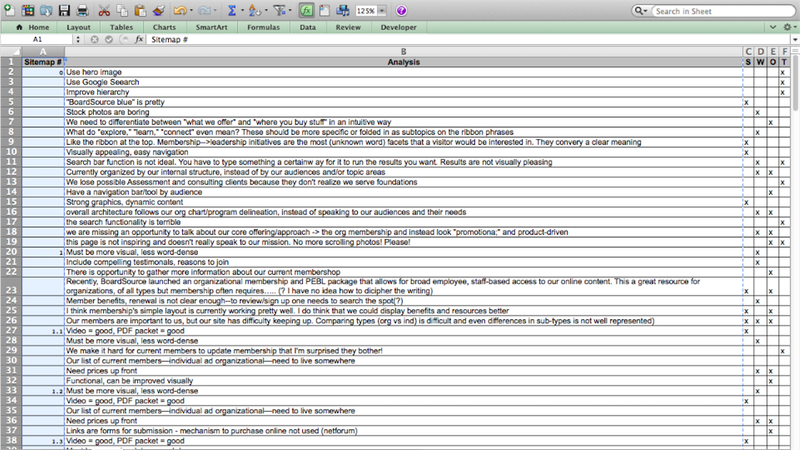 In this section, use your SWOT analysis to establish both website opportunities and brand opportunities. How will your website reflect your brand, and ultimately, your business? What opportunities exist within your industry that you can take advantage of? Carefully parse the ways you can improve your business’s website. Threats are the things that pose an immediate challenge to your website and your brand. Who are your competitors, and where are they succeeding? What are the technical limitations of your current website that are keeping your users from achieving their goals? Is your current website up to date with design trends and capabilities? Identifying potential and real threats is crucial is proactive, not reactive, website experiences. For one of our current clients, we completed an in-depth SWOT analysis with a large team of stakeholders who were committed and willing to contribute in the research and discovery phase. Our goal was to determine what the current strengths, weaknesses, opportunities, and threats of their current website were. While engaging a large number of stakeholders might seem like a daunting task, it was actually the perfect opportunity to discover patterns and trends in what was successfully implemented in the past and what actions did not yield positive results. Most importantly, by interacting with stakeholders from multiple BoardSource departments, we were better able to successfully compare diverse points-of-view, giving us a range of angles and organizational perspectives to compare. The result was a well-rounded understanding of what direction their new website should take, considering all the different and simultaneous perspectives going on. Learn more about our website design and development services by getting in touch today. We’ll get back to you as soon as we can! Also, have you heard? We have also just opened a new WeWork location in Chinatown!